Looking for a legal way to watch the Chicago Bears online this season? Check out all of the options to access a Chicago Bears live stream without cable! The Chicago Bears are ready to bring a storm to the Windy City this year as Mitch Trubisky brings his leadership role to the next level. Find out how to watch the Chicago Bears this 2018 season with a few of the services we’ve picked out for you. FOX is home base with 11 games. CBS does its share and hosts 3 games. NBC kicks off the season in week 1. ESPN follows through in week 2. DIRECTV is for the Bears fan that is unwilling to compromise when it comes to football season. Simply put—it’s the option with the most football. DIRECTV may have its downsides, but when it comes to game night, there’s a reason why DIRECTV comes out on top. Let’s get straight to it—DIRECTV’s CHOICE package costs $45 a month and includes NFL SUNDAY TICKET the first year. That alone makes it the best deal for football fans because NFL SUNDAY TICKET offers every out-of-market game available nationwide every Sunday. NFL SUNDAY TICKET is valued at around $293 a season. Just make sure, if you’re not interested, to let DIRECTV know before your second year kicks in. Otherwise, you’ll be charged full price. Now, we know contracts are never fun. So, make sure you’re prepared for the terms going in.  DIRECTV’s two-year contract has a price hike that kicks in the second year. And yeah, it’s a bit painful. With the CHOICE package, your price changes from $45 a month to $105 a month. That sounds bad, but when you average the monthly price, DIRECTV’s costs are actually consistent with other satellite TV services (ahem… DISH). Still, we think DIRECTV’s perks outweigh its downsides if you want the most possible Bears games you can get. You may not be in the position to sign a contract, but you still gotta scratch that football itch. Welcome to the world of live TV streaming. Hulu with Live TV is the best streaming services for those looking to get both the Bears games and the best binge-worthy shows. If you want to get a few Chicago Bears games for free, check out Hulu Live’s 7-day trial. Then you can decide if you want to commit for the per-month prices. Hulu Live is the best streaming option on this list thanks to its local channel affiliates and on-demand library. So you’ll get a chance to watch the game, and then catch up on shows like Casual or The Handmaid’s Tale. 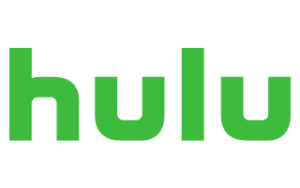 If you’re still unsure about cutting the cord because you don’t want to cut local channels with it, never fear—Hulu Live has nearly 600 local channel affiliates nationwide. That makes it the streaming service with the most local channels available. Let’s do a quick halftime recap. With Hulu Live, you get access to all the channels you need for game night, and you have options other than football to entertain you during the off-season. That’s all pretty awesome. But is Hulu Live perfect? The quick answer is no. Unfortunately, unlike other services on this list, Hulu Live’s perks pale in comparison to satellite or cable providers (that’s why they tend to be cheaper). For example, Hulu Live’s DVR comes with a measly 50 hours worth of storage space, making DVR space a very limited resource. You do have the option to upgrade to 200 hours for $14.99 more a month, but when compared to other DVRs on this list, it’s still hardly worth it. If your schedule is packed and you need to rely on a great DVR to hold you over till your next break, YouTube TV is the best service for you. In fact, it’s kinda the hit of the streaming world right now. You can always sign up for the 7-day free trial to test it out for yourself and see how you like it. So why is YouTube TV’s DVR so good? We have a two-word answer: unlimited storage. That’s right—you can record every Chicago Bears game of the season and still as many shows as you want after that. We can hear your mind being blown from here, but let’s bring you back down from cloud nine. Unlimited storage doesn’t mean forever storage. There’s a nine-month cap on the shows you lock in your DVR vault. After those nine months, they’ll be gone without a trace. So as long as you’re willing to say goodbye to your recordings after almost a year, you’ll love this DVR. With a great DVR and the convenience that come from streaming, you might be wondering why YouTube TV is ranked third. Well, greatness aside, YouTube TV is still expanding its availability, so you’ll have to check to make sure YouTube TV is available near you. Due to it not being available to all users, we figure we should knock it down a few notches. You can’t watch a game if you don’t have the service. The Chicago Bears have done enough hibernating—this fall the game gets personal. Check out some of the services we’ve recommended, and pick your best way to watch and cheer on your team to victory.